November TBA: Alpine info meeting, 6-8pm, Bozeman Public Library. The U19, U21 & PG Competitive (Comp) Team Programs are for athletes who have made a definite commitment to the sport. 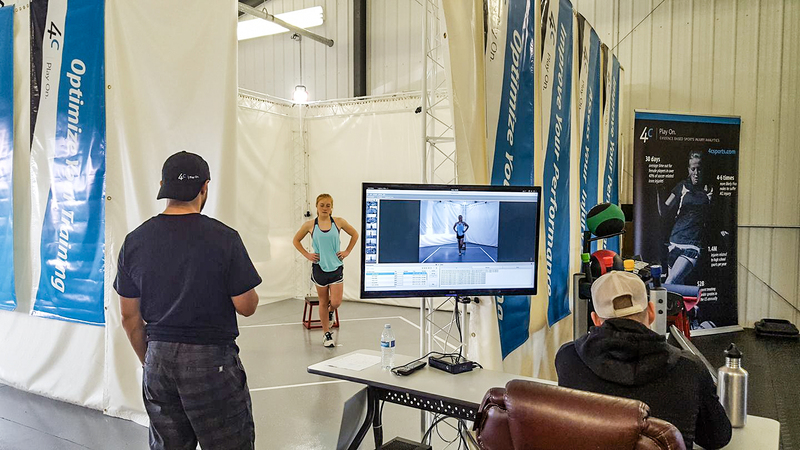 In addition to growing the love of ski racing, the goals of the Comp team are as far reaching as the athlete’s imagination. Skill development, “best use practices” of our training facilities, and quality coaching ensure athletes the opportunity to develop their craft. Skiing on this level requires good time management skills to balance academics and athletics. Since there is a wide age range on the Comp Team, view the Long-Term Athlete Development Plans (LTAD) to learn more. Athletes in these age groups will require personalization to their plans based on individual strengths, weaknesses, learning style, and goals. Nov - April: On snow training, which begins as soon as resorts are open. Additional PIR and no-school days may be added, as well. BSF enjoys a unique relationship with the local high school that fosters an early dismissal for afternoon conditioning and on-snow sessions. Competition is in the Northern Division U.S. Ski & Snowboard U16-U21 Series as well as U.S. 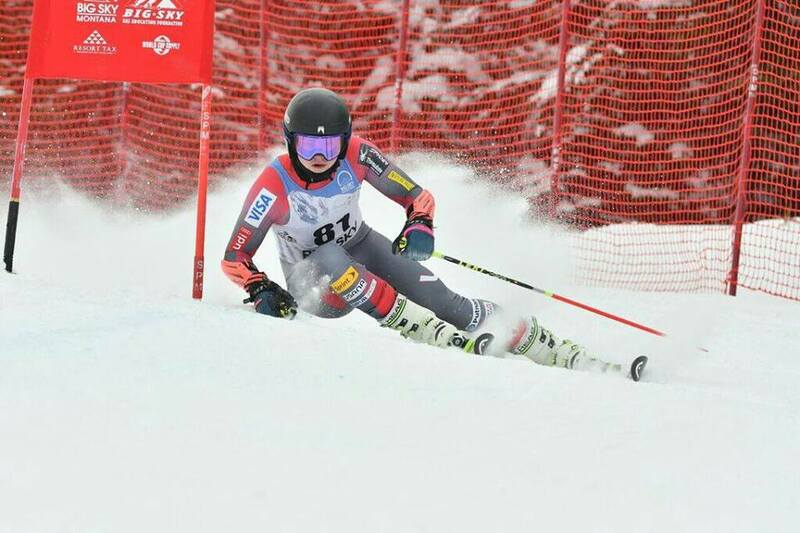 Ski & Snowboard and FIS racing throughout the Western Region. You can choose a U.S. Ski & Snowboard track, the FIS track, or both. How much you travel and/or race is up to you and is best discussed with your coach. As a member of the Comp Team, you're eligible to apply for need- and merit-based scholarships. Learn more HERE. Most athletes will need free skis, Giant Slalom (GS), and Slalom (SL) skis. Downhill and Super G skis may be recommended for speed events, if applicable. Some people say that the three most important things when it comes to ski equipment are boots, boots and boots. An approved helmet will have this sticker. GS-standard length, SL-pole guards for blocking and protection. SL pole may be slightly shorter. Skiers in this phase are moving into mastery of all aspects of the sport. Some will begin to specialize toward certain disciplines, though a well-rounded training approach is still encouraged. Course setting should test and challenge all the skills the skiers possess. Course setting will mirror that on the NorAm, Europa Cup, and World Cup levels. Minimum 10 years in the sport. Skiing 4-5 days/week, logging 130-150 days a season with a max of 55 starts (based on # of disciplines). At least 10% Free skiing. Competition season goes Nov-April. 4-5 "in-season" conditioning/recovery sessions per week. Eccentric strength, power & explosive. Aerobic training, especially efficiency and recovery work. Core strength. Produce force in skiing specific positions. Mastery or innovation stage. Event-specific technical and tactical mastery. Optimizes line for ability level and conditions in race situations. Apply equipment innovations. Adhere to USSA and FIS rules for all equipment selection. Equipment testing including skis, boots, plates, bindings and poles is recommended to maximize performance. Skis - race and training skis for all disciplines. Professional support or consultation is recommended for preparation. Boots - Discipline-specific boots. May be necessary to maximize performance. Protection - Head, arm, hand, shoulder, back, teeth (mouthguard), and shin protection recommended, based on event. Poles - GS-standard length, SL-pole guards for blocking and protection. SL pole may be slightly shorter. Custom sizing and contouring for individuals. Refine performance psychology skills: Imagery, goal achievement, performance planning, attention and focus, self regulatory talk and confidence. Identify optimal performance state. Dealing with competition, risk, failure and fear. Parents continue to support the commitment of the athlete in the sport. Regional FIS series FIS U, NorAm and European FIS races. Olympics, World Cup, World Ski Champs, World Jr. Champs, European Cup.